20-Minute Creamy Shrimp Alfredo Pasta for Two, a delicious dinner recipe for the whole family. Creamy, garlicky, ridiculously easy to make, this dish is the perfect comfort food no matter the season. Also, a fabulous recipe if you are looking for a meal for two. 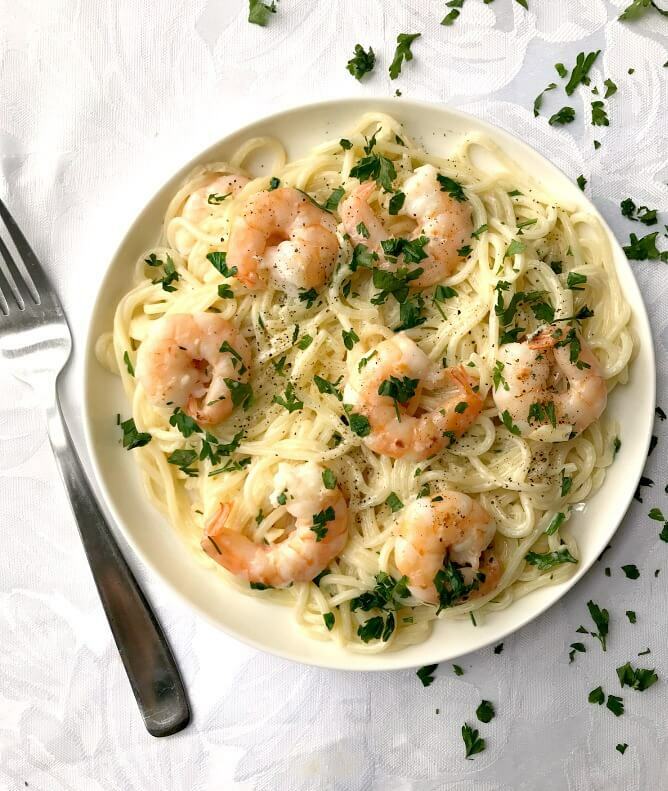 Just when you think you are on top of you low-carb plans for the summer, you start craving shrimp alfredo pasta, and there is no stopping you until you see it on the table. Don’t you just love it when you have all the ingredients you need to make the dish you so much want? And to think that you can have it in only 20 minutes. Homemade food really is the best! 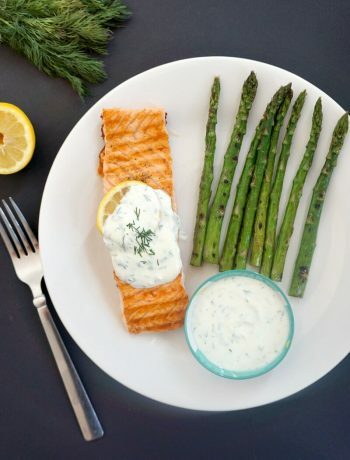 There is something about this alfredo sauce that screams perfection. It’s creamy, it’s garlickly, quite naughty, if you think of a few calories here and there, but hey ho. One little naughty dish now and then can’t do any harm. If anything, it will make me run a big longer next time. So, yeah, no guilt whatsoever. And, I am so happy that I managed to cook only 2 portions, which is pretty rare for me, I usually end up cooking pasta enough to feed the whole town. And if you are not a shrimp fan, which I wasn’t some years ago, but I have now become a rally big fan, how about these absolutely fabulous Chicken Alfredo Penne Pasta With Sun-Dried Tomatoes and Spinach or Alfredo Pasta with Salmon? 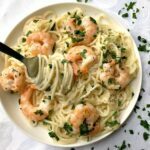 So, how to make the creamiest, tastiest shrimp alfredo pasta? First, cook the pasta according to the packet instructions. We want it al dente, so the pasta is cooked, but not too soft, as it cooked further once it’s added to the hot sauce. You can season the shrimp before adding it to the pan, some garlic granules or a bit of chilli are a nice choice, but otherwise, just salt and pepper will do. Do make sure not to overcook the shrimp, it only needs about 1-2 minutes in the pan, depending how low or high the heat is. When it turns pink on one side, turn it on the other side, and remove it once it’s completely pink, if you leave it for longer, it texture becomes quite rubbery. 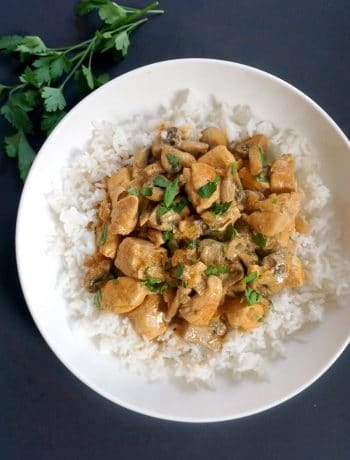 I don’t usually cook with wine, but if you do, you can add a splash of white whine to the pan before adding the cream, although the dish is absolutely beautiful without it too. The parmesan gives a nice flavour, and cuts the richness of the cream and butter, so you use it. If you don’t have parmesan, choose any other strong-flavoured hard cheese, for that extra sharpness. What pasta can be used with alfredo sauce? You can choose any type of pasta: fusilli, tagliatele, linguine, anything goes. The shape really does not matter, although I usually cook with spaghetti purely because my older daughter prefers this shape. I have long given up trying to understand toddlers, so I just cook spaghetti, and everybody’s happy. 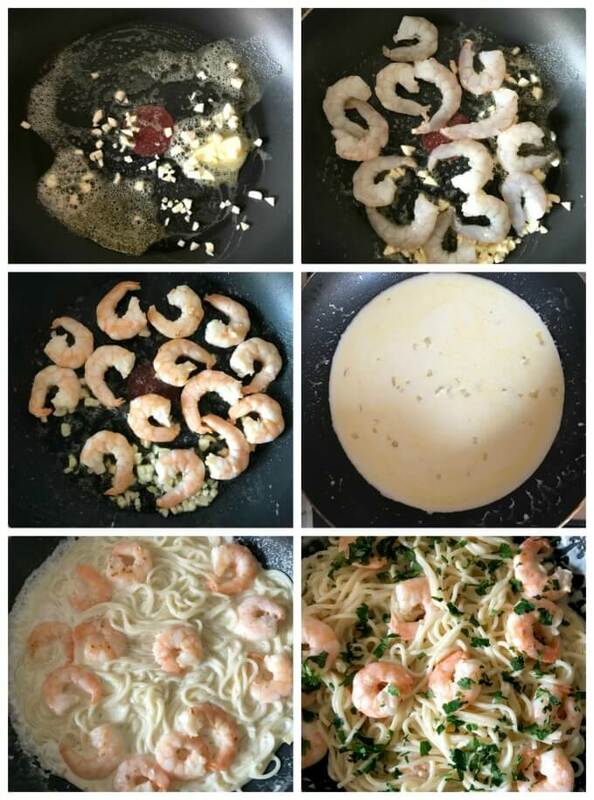 If you’ve tried my 20-MINUTE CREAMY SHRIMP ALFREDO PASTA or any other recipe on the blog then don’t forget to rate the recipe and let me know how you got on in the comments below, I love hearing from you! You can also FOLLOW ME on FACEBOOK, INSTAGRAM and PINTEREST to see more delicious food and what I’m getting up to. 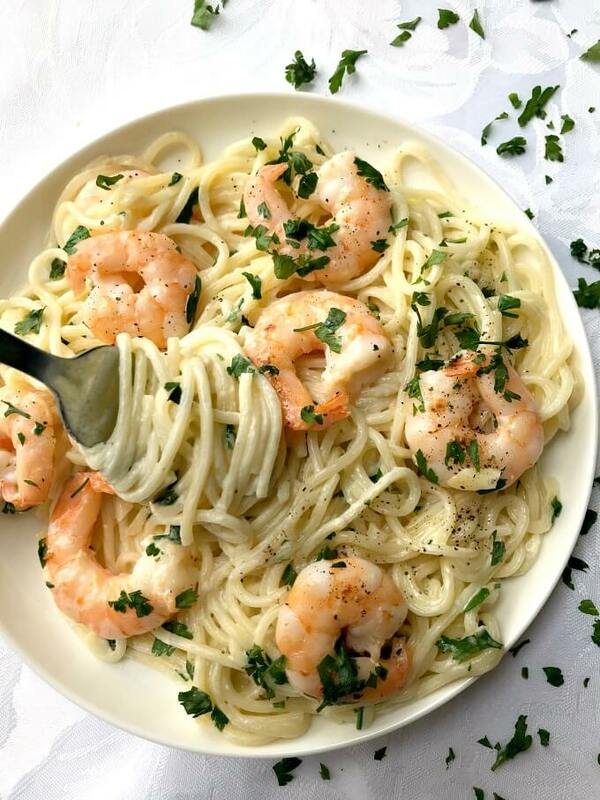 20-Minute Shrimp Alfredo Pasta, a delicious dinner recipe for the whole family. 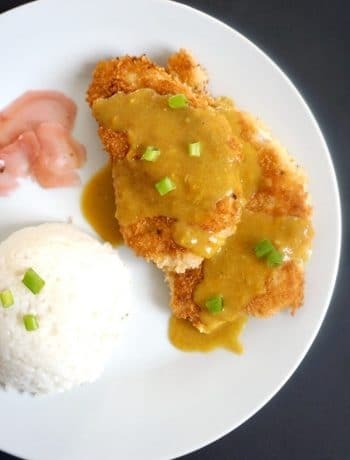 Creamy, garlicky, ridculously easy to make, this dish is the perfect comfort food no matter the season. Also, a fabulous recipe if you are looking for a meal for two. When it's cooked, reserve two tablespoons of water, then drain the rest, but don't rinse the pasta. Melt the butter in a pan over a medium heat, add the chopped garlic, and cook for about 30 seconds, then add the shrimp and cook for about 1-2 minutes on each side, until it turns pink. Remove the shrimp from the pan, add the two tablespoons of water and the cream, and bring to a boil. Add the pasta to the pan, together with the parmesan, cooked shrimp, and season with salt and pepper. Toss well.